Dr. Aseem Lal graduated the medical school from the Dayanand Medical College and completed both her residency and fellowship program at the McGaw Medical Center of Northwestern University. She is specialized in pathology and board certified in cytopathology and anatomic & clinical pathology. 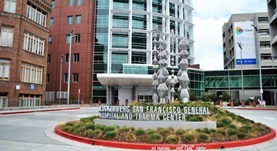 Dr. Lal has been in practice for more than 11 years and is affiliated with the San Francisco General Hospital. Dr. Aseem Lal has contributed to 2 publications. IgG4 Overexpression is Rare in Meningiomas with a Prominent Inflammatory Component: A Review of Sixteen Cases. Lal, A.,Dahiya, S.,Gonzales, M.,Hiniker, A.,Prayson, R.,Kleinschmidt-Demasters, B. K.,Perry, A.; Brain Pathol.. 2014 Jan 29. Lal, A.,Chan, L.,Devries, S.,Chin, K.,Scott, G. K.,Benz, C. C.,Chen, Y. Y.,Waldman, F. M.,Hwang, E. S.; Breast Cancer Res. Treat.. 2013 Jun.